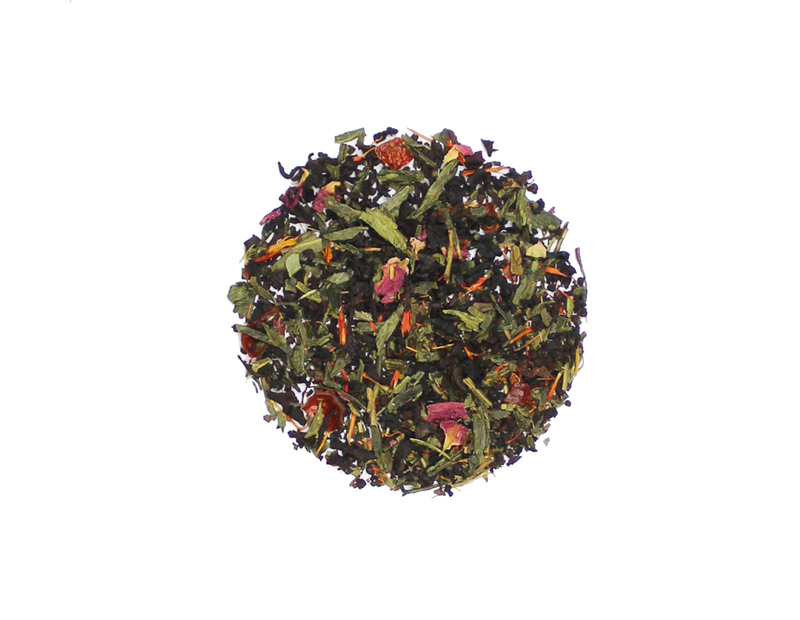 Midnight Rose is a truly unique tea for Simple Loose Leaf. Using a sencha green tea base, Midnight Rose combines the rich dark notes of black tea, vanilla, rose petals, and rose hips into a cup of tea that is reminiscent of a dew soaked morning in a rose garden. Ideally this tea is served neat without any additives but if you need to cut the rose notes, you can add some milk. Another option is to mix this tea with your favorite straigh tea to shift the flavor profile.